Top10 Find my Swimsuit Escape is another point and click escape game developed by Top10NewGames. Assume that there will be a swimming competition held at your school for the sports day. For this occasion, you bought a swimsuit. But your brother hid your swimsuit in your house. 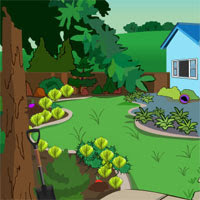 Now you are going to find that swimsuit by using a key, objects, hints and solving puzzles.